Have you heard about the concept called DisplayHDR 1000? It is a standard in the 4K display technology with HDR. The HDR1000 was a standard set up by Samsung to designate a display monitor that can provide a peak brightness of 1000 nits. 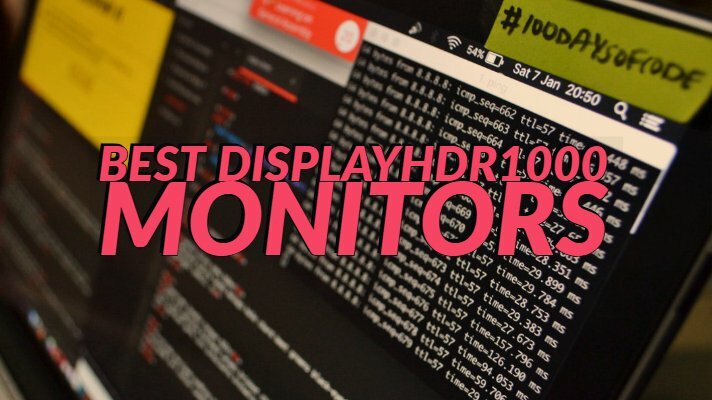 Which monitors have been certified with the HDR1000 specification? We will check out the best monitors that have been confirmed to be DisplayHDR1000 in today’s post. As we have already come to know, the DisplayHDR1000 is a standard that determines the capacity of a monitor to sustain a brightness level of 1000 nits over time. This is one of the real characteristics of the actual HDR display. The certification is based on the HDR quality, including luminance, color gamut, bit depth and rise time. The certification is provided by High-Performance Monitor and Display Compliance Test Specification (DisplayHDR) from VESA. VESA is an international nonprofit corporation led by a board of directors, which represents a voting membership of more than 280 corporate members. As you might have guessed, these speak about peak luminance in specific areas on the screen based on the content that is being presented. Compare this with an average display of 250-300 nits. The true black standard talks about contrast ratios on the higher performance tiers, such as 600-1000 HDRs. Also, instead of using 6-bit drivers to simulate a 8-bit dithering algorithm, all the monitors need to be using 8-bit with a 2-bit dithering algorithm. This ensures that the dimming luminescence controls are in sync with the LCD panel. It also helps you to achieve a better dynamic range, one of the critical aspects of an HDR display. VESA is the certifying authority that certifies the display monitors for their HDR performance levels. As per the VESA certification presently available, only four monitors come with the DisplayHDR1000 certification. We will check out each of the monitors that have the DisplayHDR1000 certification. The Predator X27 4K Ultra HD display from Acer is an excellent option for your gaming experience. It is one of those rare screens that comes with a 3840 x 2160 resolution packed inside a 27-inch display. Bask in the brightness that offers you a 1000 nits of intensity in the screen. The 384 individually controllable LED backlight provides you access to the maximum possible realistic image. The NVIDIA® G-SYNC® HDR display ensures that you can enjoy smoother and lag-free gaming. The combination of 4K, HDR and 144 HZ refresh rate are a few factors that would make it an ideal choice for every gamer. You can check it out on Amazon at this link. 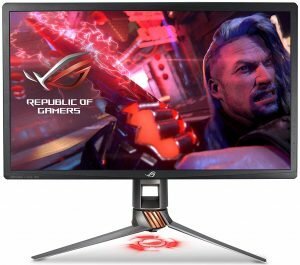 Offering the perfect 4K UHD with Super-Fast 144Hz, the ASUS ROG Swift PG27UQ is an excellent option for most of your requirements – whether gaming or viewing lifelike videos. The monitor also provides you with a higher dynamic range with the G-SYNC High Dynamic Range (HDR) technology. The local dimming feature lets you control the backlight across 384 zones. This ensures high contrast imagery on your screen. The quantum-dot technology ensures that you have access to the accurate color imagery at its best. You have access to Flicker-Free Technology for high-speed gaming performance. True HDR functionality is what should make it one of the best option you can go with along with the high end 144 Hz refresh rate. You can check it out at this link on Amazon. 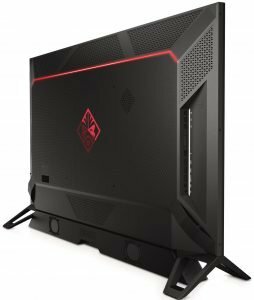 Coming from one of the most potent providers, the HP OMEN X Emperium 65 is an excellent option with the colossal 65-inch screen. It will look more like a TV than a gaming monitor. However, the monitor is not yet launched and will only be available in the later part of the year, when it will be launched in March 2019. This is one of the first monitors to offer Nvidia BFGD standard. The format was announced at the CES 2018, and HP is the first partner manufacturer to come up with the certification. Get access to the integrated HP Omen X Emperium soundbar and Nvidia Shield, which gives you things like Netflix, Amazon Video and YouTube on tap. The monitor provides peak brightness at 1000 nits while offering 750 nits most of the time. We may not be able to comment on the performance of the monitor as yet as it is still to be launched. Once the monitor is launched in March 2019, we will update the post with the review of the monitor. The Momentum display with HDR and immersive Ambiglow lighting are what would make it an exceptional choice by any standard. You will find the best entertainment performance with the high-level immersive functionality. The high dynamic range will provide you access to the best in class visual experience. The UltraClear 4K UHD Resolution aids in CAD solutions, using 3D graphics applications or financial wizardry. Quantum Dot Technology ensures that you have access to the brighter and natural colors. MultiView Technology can help you work with multiple devices simultaneously. The HDR may not be up to the mark. It should be an excellent option for your requirements both concerning gaming or a TV replacement. If you are interested, you can check it out at this link on Amazon. Here is a head to head comparison chart for the best DisplayHDR1000 monitors for your requirements. You will find the comparison helpful enough for choosing the right monitors depending on your preferences. Those were the four DisplayHDR1000 monitors that have been certified as of writing this post. We would look ahead to more such monitors being made available from the other manufacturers like Samsung and LG. Until that happens; you will need to stay content with the choice between these four for now. 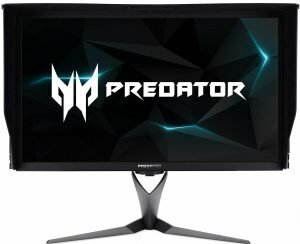 Have you used any of these monitors? If yes, do share your thoughts, experiences, and opinions with us through the comments section here below. DisplayHDR 1000 vs HDR10: What’s the difference? You are at an electronic shop surfing for the best TV you can buy. However, while ogling at the several options you have, you will indeed get confused with the numbers, specifications, and gimmicky feature sets. That can indeed get a little more confusing. HDR, HDR10, DisplayHDR1000, and HDR10+ – those are just a few jargons used. What exactly are they? Basically, what is the difference between DisplayHDR1000 and HDR10? We will attempt understanding it. Before we can understand the basics of HDR10 and other specifications, you need to understand the basic concept of what exactly is HDR. That will possibly help us take a little deeper dip inside the idea of the different options. HDR primarily in an acronym for High Dynamic Range. If you want us to explain it in the layman’s terms, it is how a display can show the blackest of the blacks and the whitest of the whites. An LED display (non-SDR) is a clear example of this kind of resolution and visual performance. The OLED screen can turn the individual pixels On/Off, thereby setting the actual blacks perfectly black. On the other hand, the brightness of the screen is measured concerning the measuring unit referred to as nits. Theoretically, the 4K HDR monitors should be able to produce genuinely brighter images at around 4000 nits. HDR10 is an Open Standard specification that an HDR screen is supposed to offer you. In other words, these displays can be considered to be the baseline requirements for the HDR display. The HDR10 refers to a 10-bit video stream, and most of the HDR screens you have should be able to support the display parameters. It may not be as technically advanced as Dolby Vision, but it is an open standard, and thus any TV manufacturer should be able to use it for their needs. One of the most common criteria, it is what you would expect on most of the High Definition TVs you are buying. The technology has several names associated with it. HDR10+, SUHD or Smart Ultra High Definition or HDR1000. The standard was brought ahead by Samsung and makes use of high-end technology like Ultra Black. One of the significant issues it tends to resolve is the glare issues you may have. It has the same specification as the HDR10 technology, but Samsung has added in the anti-glare technology into it to make it all the more advanced. How do HDR10 and HDR1000 differ? Well, like we stated both the technologies are almost equivalent – the only difference being the use of anti-glare technology. One of the main fundamental differences between the two lies in the metadata used by both of the standards. Metadata is the additional details sent along with the video signals in an HDR transmission while the HDR10 provides you access to the static metadata, while the HDR1000 (or HDR10+) is what would offer you dynamic metadata (similar to DolbyVision). This is precisely what would make HDR1000 more bright. It can deliver the metadata scene by scene, or even frame by frame if needed by the content. The standard borrows a few technologies from Dolby Vision, but since Dolby Vision involves a licensing regime – the development of HDR1000 and HDR10+ as an open source program that helps more manufacturers to adopt it. Well, comparing HDR10 and DisplayHDR1000 may not be a practical possibility. HDR10 and HDR1000 (or HDR10+) are the technologies that power the newer HDR displays. The DisplayHDR1000 is, on the other hand, a standard or a set of specifications that help rate the displays or monitors by the technology that they employ or the performance that they can achieve. The PC industry did not have a standard for device certification for the best performance concerning display technology. VESA understood this, and it introduced a new standard for the HDR in 2017. The standard helps you differentiate between different monitors by multiple manufacturers. The standard applies to both external monitors and those on laptops. DisplayHDR1000 is the highest standard specified by VESA. There are three standards defined as now – DidplayHDR400, DisplayHDR600, and DisplayHDR1000. All these three levels of standards should have HDR10 functionality. The digits 400, 600 and 1000 stand for the maximum brightness levels supported concerning nits. Ideally, a DisplayHDR1000 screen should be able to provide you access to a maximum brightness level of 1000 nits along with global dimming performance. Under standard conditions, a DisplayHDR1000 monitor should let you achieve 1000 nits peak and random brightness levels with a minimum of 750 nits most of the time. In essence, it can be said that all DispplayHDR1000 monitors have HDR10 technology, but not all HDR10 monitors necessarily have a DisplayHDR1000 specification. There are several HDR10, or HDR1000 (also called HDR10+) monitors available as of now, but as things stand now – only four monitors have been accredited with the DisplayHDR1000 certification of which one is still to be launched in March 2019. That was perhaps a decent comparison between HDR10 and DisplayHDR1000. They two are entirely different concepts and as such a correlation between them may not be an easy concept. However, we have attempted letting you understand the basic concepts that cover both HDR10 as the technology standard and DisplayHDR1000 as a specification for compliance with the standard. We assume we have been able to succeed in making you understand the basic concepts and choose the best monitor with the same display standards you have been looking ahead to. Agreed, there is not much of choice for the best DisplayHDR1000 monitor as of now, but we expect the technology to take off and we will find more devices coming soon with the standard and specifications. Televisions have become one of the prominent mediums of late. Even the monitors offer you multiple benefits and options apart from watching the broadcast channels. Gaming and other similar options will make the television monitors, or the gaming monitors one of the most important aspects you need to take care of. The various specifications can be yet another issue and make your choice a little more difficult. 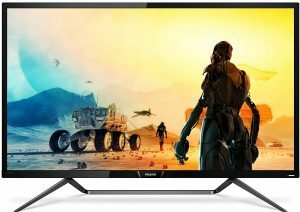 How would you differentiate between DisplayHDR 1000 and DisplayHDR 600 monitors? Let us attempt understanding the fundamental differences between the two display standards. 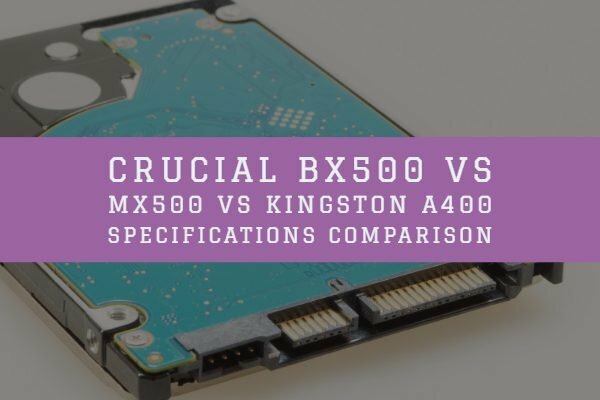 The PC industry in particular and the monitor manufacturers, in general, did not have any standard device specification for the best options in terms of the monitor. VESA noticed this and developed the standard, commonly referred to as DisplayHDR. These specifications apply to both PC monitors and laptops. There are three separate standards specified for the monitors – DisplayHDR 400, DisplayHDR 600, and DisplayHDR 1000. The digits 400, 600 and 1000 would be the maximum brightness levels that the monitors can achieve and measured in terms of nits. Thus a DisplayHDR 400 monitor can reach a brightness level up to 400 nits, and a DisplayHDR 600 monitor can achieve 600 nits. There are four distinct options specified the DisplayHDR500 being one of them in addition to the three specifications outlined above. Before we can delve upon the HDR display standards, it may be a good idea to check out the meaning and features of HDR. HDR stands for High Dynamic Range. It can be defined as the capability of a monitor to display the blackest of the black and the whitest of the whites. Nits measure the brightness of a screen. A 4K HDR monitor – by that standard can provide you the brightness levels of 400 nits. These display monitors come with the HDR compatibility with the local dimming functionality. These monitors will support professional/enthusiast-level laptops and high-performance monitors. The display monitors with the standard will have true local dimming and True high contrast HDR features. 600 nits in terms of brightness are the minimum luminance required for this standard. It also has a higher black level performance criterion. Peak luminance levels of 600 cd per square meter. This should be double that of the conventional displays. It also comes with the full-screen flash rendering and thus offers you realistic visual effects in gaming and movies. The monitors will also meet the real-time contrast ratios with local dimming features. This will improve contrast performance. You will also be impressed with the deeper blacks. An improved color gamut makes an enhanced color reproduction. The monitors with DisplayHDR 600 will need 10-bit image processing requirements. The DisplayHDR 1000 is a standard that targets the professional/enthusiast/content-creator PC monitors. 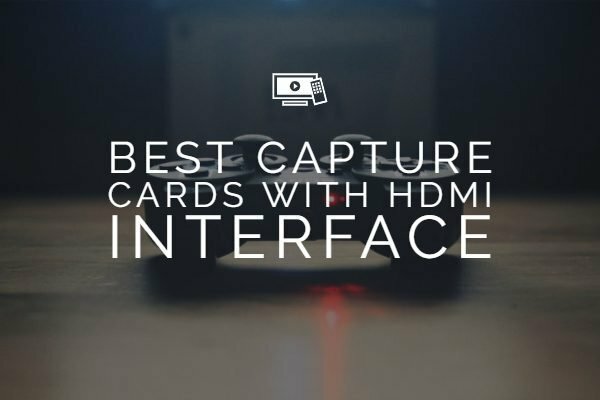 It helps you out with the local dimming effects and High Contrast HDR compatibility. The minimum peak brightness levels will hit the 1000 nits. 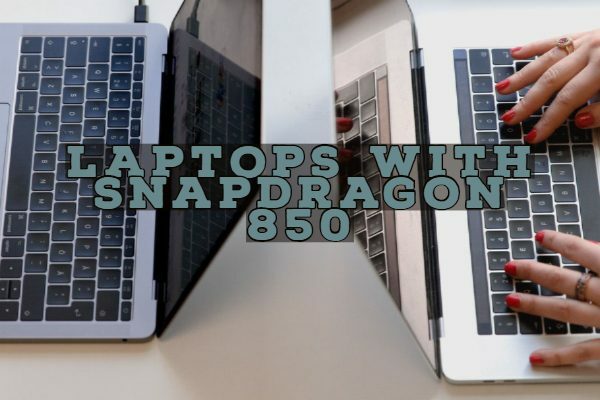 On most counts, it shares the features with the DisplayHDR 600 standards. Peak luminance levels of 1000 cd per square meter. This is ideally three times higher than that of the conventional displays. The full-screen flash rendering provided by the DisplayHDR 1000 standard will help you with the ultrarealistic effects in your games and videos. It works with the profoundly longer durations and provides a high-performance level. 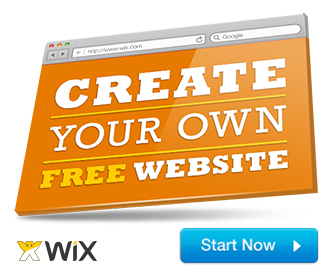 This will help you achieve the best results in terms of content creation. The DisplayHDR 1000 standard achieves remarkably lower levels of Blacks. This is, incidentally, the least that most of the colorimeters can measure. Local dimming is improved over the DisplayHDR 600 standards. It offers you a two times increase in contrast as compered to the DisplayHDR standard. An enhanced color gamut performance. The standard requires 10-bit image processing. Here are the specifications outlined by VESA for the standards DisplayHDR 600 and DisplayHDR 1000. Please note that these standards refer to peak performance. Actual performances may slightly differ. The HDR technology is indeed a great leap if you are looking for the image quality and better viewing experience. There are several standards specified in terms of HDR specifications. This has been creating issues in understanding the exact nature and standards followed by the monitor or display monitors. VESA has understood this ambiguity, and that is precisely why it has launched the specification standards for the monitors for the HDR compatibility. The standards were launched in the year 2017, and thus form the basis for the best in terms of the HDR compatibility. VESA plans to extend the compatibility of the DisplayHDR standards to the OLED panels and other similar displays. We will observe the additional layers of the standards along with the enhanced performance in the days ahead quite soon. We assume we have been able to drive home the slight differences between the standards DisplayHDR 600 and DisplayHDR 1000 through the above discussion. If you want to add up a few more information titbits, you are welcome to share your opinions and thoughts through the comments here. We will update the post quite soon.